Henry Onyekuru insists Galatasaray will keep on fighting hard to retain the Turkish Super Lig title after they were held to a 1-1 draw by Fenerbahce on Sunday. The champions missed a good chance to put pressure on leaders Istanbul Basaksehir who lost 2-1 to Besiktas on Saturday. Fathi Terim’s men trailed Basaksehir with five points with six games remaining before the end of the campaign. Onyekuru put Galatasaray ahead in the game in the 66th minute before Eljif Elmas equalised for the hosts five minutes later. on their failure to pick the maximum points in the encounter. “When you play against your rival, it is a very important and nice feeling for a footballer to score in such a match. I’m happy to have this feeling, but it was a game we wanted to win,” Onyekuru told Galatasaray’s official website. “The score did not satisfy us. After this time, we have nothing to do. We have to put this match aside and prepare for each match separately. Onyekuru has scored 12 goals in 26 league appearances for Galatasaray this season. 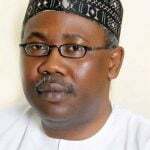 Former Minister of Justice, Mohammed Adoke, has asked a High Court of the Federal Capital Territory (FCT) to set aside its earlier order issued for his arrest over his alleged involvement in deals regarding the sale of Malabu oil. 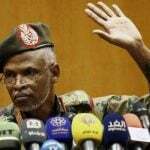 Three of the most controversial figures of Sudan's ruling Transitional Military Council have offered their resignations - one of the key demands of the protest movement. The undefeated Nigerian will fight once-beaten Michael Wallisch at the Chelsea inside of The Cosmopolitan in Las Vegas on Saturday and the 25-year-old Ughelli-born pugilist believes he is prepared to face the 33 year-old German. 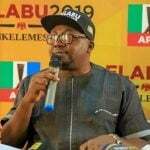 The gubernatorial candidate of the ruling All Progressives Congress (APC) in the March 9, 2019 election in Oyo State, Chief Adebayo Adelabu, has declared that he remains inseparable from the outgoing governor of the state, Senator Abiola Ajimobi. The Association of Local Governments of Nigeria (ALGON), Oyo State Chapter, has pledged support for the Youths Employment and Social Support Operation (YESSO) towards poverty reduction in the state. 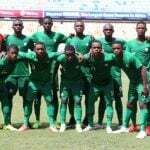 Two-time champions, Golden Eaglets of Nigeria finished as winners of Group A of the ongoing Africa U17 Cup of Nations in Tanzania after forcing Uganda to a 1-1 draw at the Chamazi Stadium in Dar es Salaam on Saturday. 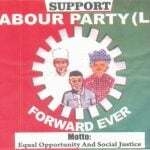 Prince Ifagbemi Awamaridi, Lagos State chairman of Labour Party (LP) and gubernatorial candidate of the party in the last governorship election, has said that there would be no meaningful progress in the country if the country fails to have a robust judiciary system. 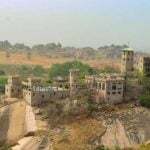 The federal government has again assured that the security agencies are doing everything possible to ensure that the three persons who were kidnapped in the Kajuru Castle Resort attack, a popular resort in Kaduna state are released unharmed. President Muhammadu Buhari on Tuesday met behind closed doors with the Emir of Qatar, Sheikh Tamim Bin Hammad Al-Thani, at the Presidential Villa in Abuja. 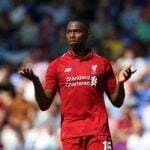 Current Liverpool player c has emerged as a surprise marquee candidate for the A-League with Brisbane Roar shaping as his most likely destination.